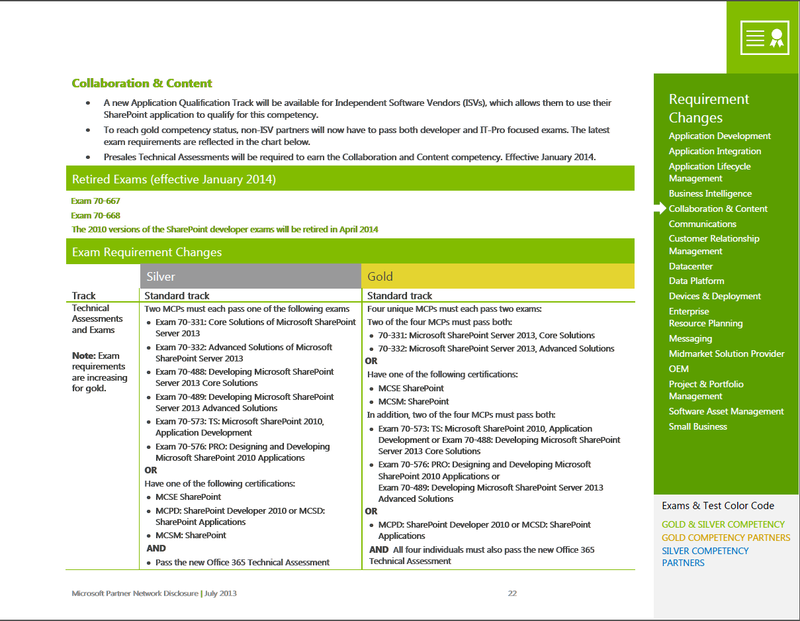 Microsoft Exam Second Shot is back Until May 31 2014! While on the Microsoft Learning website I found out that the Second Shot program is back until May 31 2014! What is the second shot exam? Earn a Microsoft Certification and prove your skills with current technologies and solutions. Passing Microsoft Certification exams can be tough, but for a limited time, you’ll get a free second chance to succeed. With Second Shot, if you fail your exam the first time you take it, you can use the same voucher for your retake exam. The news that was on all the tech sites last Friday was good news for some and bad for others… Steve Ballmer is retiring sometimes in 2014. 1. The most known one : Developers! 3. Steve Ballmer selling Windows 1.0 (only thing missing is “IF YOU CALL IN THE NEXT 2 MINUTES, YOU GET A SECOND ONE FOR FREE”). 4. Steve Ballmer Throws a Chair at an employee who leaves for Google! 6. Ballmer Shows he is a good guy.. and he signs a student’s Mac! Leave a comment and don’t forget to like us on Facebook here and to follow me on Google+ here and on Twitter here for the latest news and technical articles on SharePoint. Also, don’t forget to check out SharePoint Community.Net for more great SharePoint Content! I recently had a client ask me, how he could migrate only a list from SharePoint 2010 to SharePoint 2013 by keeping the data in it. I tried a quick Google, and nothing came up. 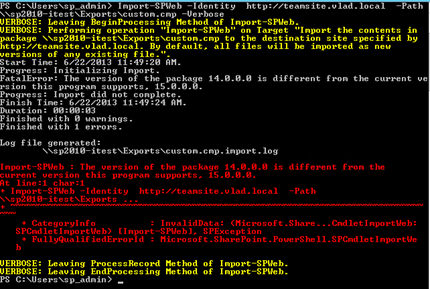 I tried to export the list into a .cmp file, and import it into SharePoint 2013, but I got this Error. 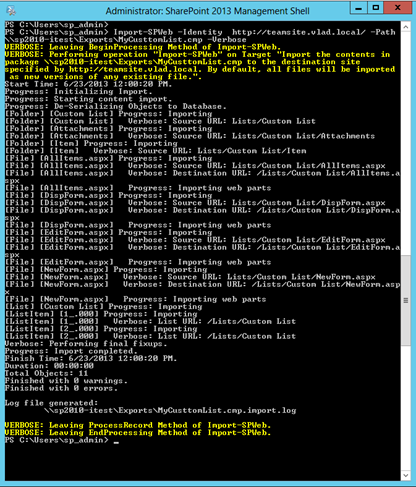 Importing SharePoint 2010 Files is not supported in SharePoint 2013. FatalError: The version of the package 14.0.0.0 is different from the current version this program supports, 15.0.0.0. This is the “dirty” method to make it work fast. What I mean by dirty, is that it isn’t supported by Microsoft officially since we will modify the .cmp file. Here is how to do it step by step. Open the SystemData.XML file with an editor like NotePad++ and change the version from 14.0.0.0 to 15.0.0.0 , and the build version from your 14.0.x.x to 15.0.x.x (depending on the build you have on both your farms). Here is a screenshot with before and after. Now we have to repackage it as a .cab file. 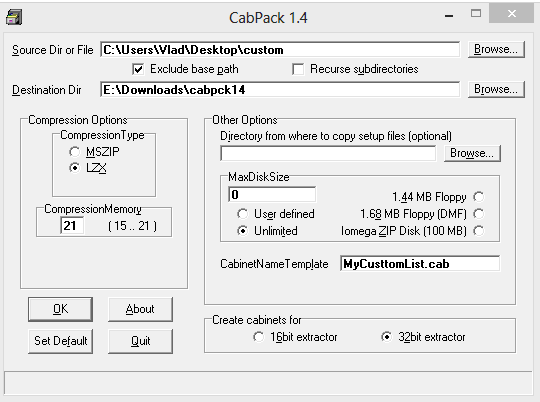 I used a software called CabPack. Select your Source and Destination. Change the CabinetNameTemplate if you want, and click on OK. Copy the .cmp file back on the network share or directly on the SharePoint 2013 Server. Open up your SharePoint Site and your list should be thereJ. The Fast and proper way to move a list is moving it with a third party tool. The advantage with the third party tools is that they are very simple, and they work well. The Downside, of course is that they are not freeJ. However, I am sure that if you only want to move a list, you can simply download a trial and get the work done. Here is the one I heard the most positive comments about. ShareGate >> They offer a 15 day free Trial. If you don’t want to buy a third party solution, the other “best practice” solution would be to create a new temporary web application, upgrade your content DB to SharePoint 2013, and then export the list. However, if you have a lot of customizations and development done on the site collection, this might really get messy. 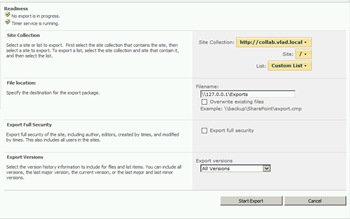 Create a Temporary Web Application in the SharePoint 2013 Farm. Restore the Backup you took in Step 1, on the SQL Instance hosting your SharePoint 2013 Farm. Make sure you give the farm account db_owner permissions on the database. In the SharePoint 2013 Management Shell, run the following command. Navigate to the Site Collection, and if you didn’t have too many development and custom things done, it should open no problem. 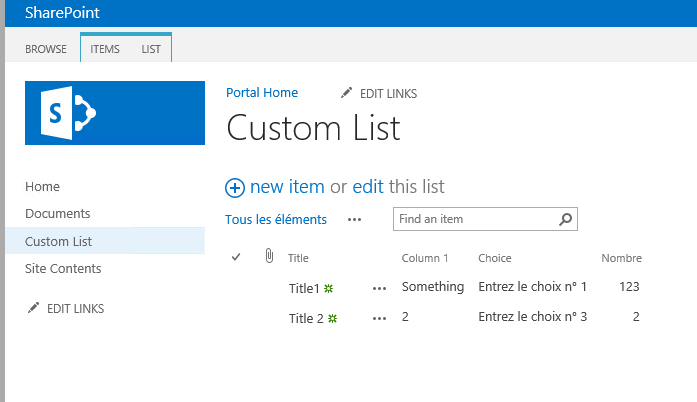 Make sure the list you want to export is ok.
Open up your SharePoint Site and your list should be there J. Those are three ways to get a list from SharePoint 2010 to SharePoint 2013. 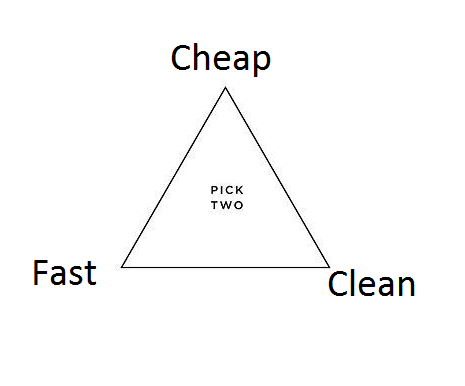 You choose which one fits you best! In case you don’t know, Microsoft releases the Microsoft Partner Roadmap (Now named the “Microsoft Partner Network Disclosure Guide”) in which it talks about the requirements for a company to be a part of the Microsoft Partner Network. Let’s check the July 2013 Guide and see what’s interesting on the Collaboration and Content (aka SharePoint) side. Updated requirements. Partners who are qualifying through the standard track will be provided incremental cloud training and an accompanying online assessment to qualify for relevant competencies. The most notable changes to Microsoft Partner Network in the coming year revolve around the integration of the cloud into relevant competencies starting in January 2014. Our goal is to enable partners to sell, deploy, and support cloud products and thus enhance customers’ power of choice. 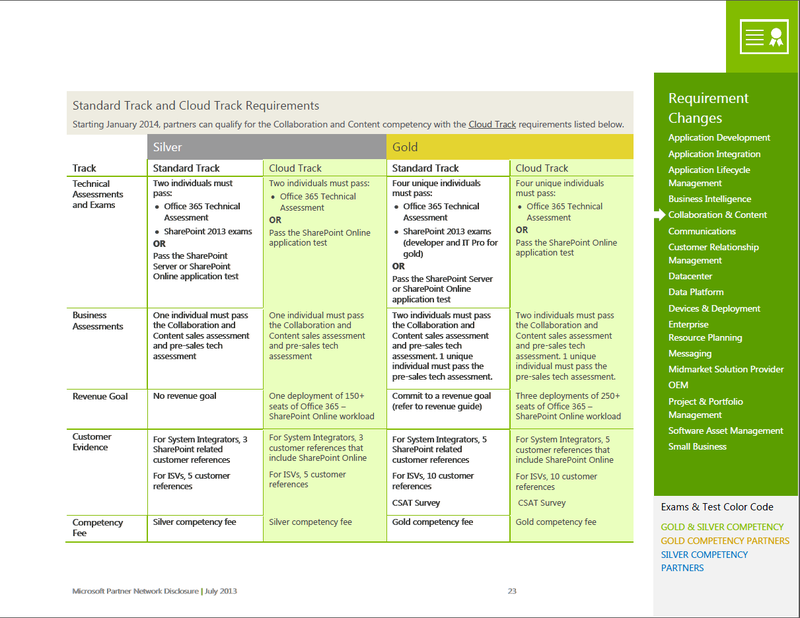 Introduce new cloud, hosting, and application qualification tracks for relevant competencies. Start testing on cloud expertise by integrating exams and/or assessments for Office 365, Windows Intune, Windows Azure, and CRM online into the requirements for the relevant competencies. Does that mean we need to do an O365 exam in order to be a Gold/Silver partner? Let’s head to the Collaboration and Content section to find out. When we get on the first page of the Collaboration and Content track, we see something new that hasn’t been announced on the Microsoft Learning Portal yet. We already know that January 31st 2014 is the retiring date for the IT Pro (70-667, 70-668) but this is the first mention of the developer exams. Click on the image to view it in a better size. An Office 365 Technical Assessment? I tried getting more information by searching it on Google… however the only information I seem to find is the actually Exam Answers… And not more info about the exam from Microsoft. What do you think about Microsoft introducing Office 365 Technical Assessments in the SharePoint Partner Competency? The SharePoint August Cumulative updates have been released for both SharePoint 2010 and 2013. 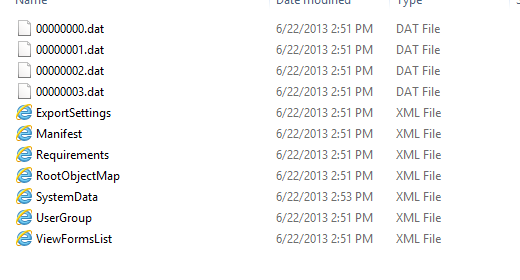 In order to slipstream an offline SharePoint 2013 installation up to August 2013 CU, your binaries will now be 6.37 GB. The SharePoint 2007 Service Pack 3 was only 287 MB. Don’t Forget: Make sure you test them in a QA/Test Environment and not in the Production! Share the news with your followers on twitter by clicking on the following image! Unless you were on vacation for the past three weeks, by now you know that SharePoint 2010 Service Pack 2 is out and ready to be installed! If you’re looking for the announcement, or download links, check out this post: SharePoint 2010 Service Pack 2 Released . This article will be focused on some questions I got from SharePointers from SharePoint-Community.Net and also from friends… How do I patch my SharePoint 2010 farm the right way? Let’s start with some SharePoint Myth Buster action! The packaging of cumulative updates changed as of August 31, 2011. […]As a result of the new packaging, it is no longer necessary to install the SharePoint Foundation cumulative update and then install the SharePoint Server cumulative update. Conclusion : If you have SharePoint Server 2010, you only need to install the SharePoint Server Service Pack! Myth 2: If I have SharePoint Server 2010 in English and X Language Pack, I need to install the Service Pack 2 in English and Service pack 2 in X language. This Myth is also BUSTED. You only need to install the SharePoint Service Pack in the language of the original installation, then install each Language Pack Service Pack in the languages deployed to the farm. For example, if the farm is installed with en-US, and you have installed the French Language Pack, simply install the SharePoint Service Pack 2 from the English download, and the French Service Pack 2 from the Language Pack download (Service Pack 2 for Microsoft 2010 Server Language Pack). You NEVER install any update (Windows, CU, PU, SP, etc..) in any SharePoint Environment without testing it in a Test Farm. You have been warned! Myth 4: Since the Service Pack 2 came out in July, and June 2013 CU came out.. in June, Service Pack 2 is the latest available build. False! June 2013 is a post-Service Pack 2 release (though it does not require SP2). Furthermore, you can’t install June 2013 CU over Service Pack 2 due to patch detection logic errors in the June 2013 CU. Official Microsoft Recommendation? Wait for the August 2013 CU! 1. Install SharePoint Server 2010 Service Pack 2 on all of the SharePoint servers in the farm. The installation of the binaries can be done in parallel, or sequentially. 2. Install the Office Web Apps 2010 Service Pack 2 on all of the SharePoint servers in the farm. 4. Now that the binaries are installed on all the servers, it’s time to go to the more stressful part which is running the SharePoint 2010 Configuration Wizard. On any one of the SharePoint servers, start and run the “SharePoint 2010 Configuration Wizard” as an administrator. In the Configuration Wizard, it may ask you if you want to change anything. At this time, do not change anything, simply click next, next, and next. If you cheated in any of the previous steps, you will have an error in this step!. 5. After the Configuration Wizard is done running on the first server, run it on the next SharePoint server in the farm! Repeat Step #5 until all SharePoint servers are upgraded. 6. Time to test everything! You are done and successfully installed SharePoint Server 2010 Service Pack 2 using the best practices from Microsoft! I also want to give a huge thanks to Trevor Seward, SharePoint MVP, for reviewing this post to make sure every step is done according to Microsoft’s Best Practices. Recently I read a great article by Wendy Neal called 10 Ways to Make a Splash in the SharePoint Community, in which she explains some steps that you can take to become more popular in the community. The Article is really great, and I agree with everything she says, however I would like to elaborate her point #1, which is “Write Great Content“, aka “Write good Blog Posts on your blog”. This is great, however as a lot of people asked me on SharePoint-Community.Net, How can you get your great content actually seen by people. Here are 5 ways to get more reads on your SharePoint Blog! I know, you have seen this over and over, but even if you do the other steps, and you miss this one, you still won’t succeed. You need to write something that is NEW or with added value over the posts that already exists. If you write how the command “get-spsite” works, by only copying things from TechNet, you won’t get a lot of views, and your readers will be left with a bad taste in their mouth, since you just wasted 30 seconds of their life. Instead, if you write how you can do something really awesome with the command “get-spsite”, like “How to get the date a SharePoint Site has been last accessed using PowerShell”, then it’s a win! Users that will look for this information will find what they are looking for, and that’s stuff that isn’t already on Technet! Once you got great content done, do the following steps. SEO, stands of “Search engine Optimization”. Is it important? Yes. How Important? Imagine Steve Ballmer screaming “SEO, SEO, SEO, SEO” in his keynote speech. If you don’t know what I am talking about, you definitely need to check this video! Why is it so important? Once the initial hype of your post goes down, and your post goes down your blog page, the only hits you will receive on it will come from Search Engines. When someone makes a google Search, you got a big chance that if your post is in the first 5, you will get a hit. If you are on the second or third page, they will never get to you. There are many articles there on how to get better SEO, since there are millions of them, however I will give you some tricks I found the most useful! Google and Bing Webmaster tools is where you sign up, to view stats on how their respective bots crawl for content. You can submit XML Site maps, see search statistics and key words, see if you have any 404 errors, and a lot more! Check them out! Ok, now Google/Bing know you exist, but how do you notify them that you posted something? The answer is Ping Services. What are they? In blogging, ping is an XML-RPC-based push mechanism by which a weblog notifies a server that its content has been updated. What Servers are notified? Mr. Google, Mr. Bing and the others. For WordPress, you can automatically add a list of Ping Services in your Writing settings, if you use Blogger or another service, you can google for free ones. Most people use Ping-o-Matic which, with just one “ping” from you, will let many other services know that you’ve updated. These days, there is a ton of content to read on every technology. There are lots of people who share interesting articles, and it’s virtually impossible for readers to check every blog that exists for new content. However, if they see it pop up in their newsfeed, you got a lot bigger chances of them reading it. Fortunately, there are some nice free websites that will automatically share your new blog posts on LinkedIn/Twitter/FaceBook for Free! This is the one I use, and it’s called dlvr.it. For a small fee, you can even do it share on Google+, as well as on LinkedIn groups that you are a owner/ moderator off. Talking about LinkedIn groups, they are a great source of readers as well! You can share your link in there, and it will appear in other people’s newsfeeds, as well as sent in email for people who receive daily/weekly updates of the group’s activity! However, be very careful to respect the rules of the groups. Some of them might not allow sharing blog posts in the discussion area, so make sure you put it into promotion, so you don’t get banned. If you did step 3, that’s good. All your followers will now see you posted something, which is good. But, what if they could easily share what you posted to their followers? That will bring new visitors, who might become your followers and your reader base will grow significantly! If you don’t make it easy for them to share it… they probably won’t. Here is a very nice way to make it easy for them to Tweet your blog post! First of it is click2tweet. Click2Tweet is a service which lets you prepare a tweet in advance, and then share it by a simple link. For example click one or all of the following. While you’re at it, sending a tweet sharing my article with be a nice from youJ. Now that you got new readers on your blog either from LinkedIn groups or from your friend’s followers who shared your article, try to make them your direct followers, so you don’t depend on your friends sharing it. There is no exact science on this one, however make sure you share your things on as many social networks as possible so you make sure everybody can subscribe to at least one. Furthermore, make sure they can easily find the links. Personally, I use the signature bellow after every post! I hope that this has been useful for you. Leave a comment and don’t forget to like us on Facebook here and to follow me on Google+ here and on Twitter here for the latest news and technical articles on SharePoint. Also, don’t forget to check out SharePoint Community.Net for more great SharePoint Content!